The Jawa CZ OC News Archive will retain historic news items and information for an indefinite period. Items may be reviewed and a decision made to delete relevant items if deemed necessary. Should this be the case, the items can be remotely backed-up. Return to News page. The Jawa CZ Owners Club will be celebrating its 60th Anniversary in 2014 with a series of very special events. The National Rally will be at a site providing full on-site facilities including accommodation along the lines of the 50th Anniversary event at the Anglia Motel in 2004. 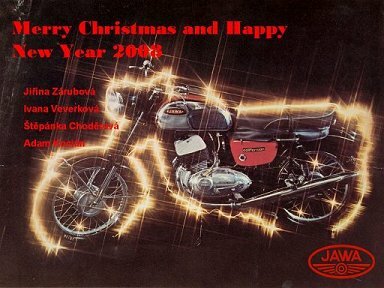 A Commemorative booklet will again be produced and the aim is to include contributions from many riders, members and former members plus people involved in the import, sales and distribution of JAWA CZ motorcycles. We also hope to have recollections from those who competed with JAWA and CZ motorcycles like Dave Bickers, Sam Smith (CZ Motocross) Eddie Roberts and Dave Hickman (JAWA road racing). In addition we will expand the web pages and contribute to YouTube so that the information will reach a much wider audience. We anticipate producing a DVD and having professional exhibition displays with good press coverage. Caps and T Shirts will be produced, maybe belt buckles. Special stickers and machine plaques will be considered too. We have made an application to the Heritage Lottery for funding for this as the history of this Club is important and should be preserved alongside our archive of information about Czech motorcycles. We were a founder member of the Federation of One Make Clubs which later became the British Motorcycle Federation (BMF) and were one of the earliest One Make Clubs in the world. We really do want members to make a large contribution to this project. Please send any articles or pictures to info@jawaczownersclub.co.uk marked 60th. We also invite any reader of this page to submit a design for a special Anniversary Rally Badge. Other ideas about what we should attempt in our 60th year will be considered. These can include support for local activity in your area. Last year, 93,031 visits to this website resulted in 433,544 page views. This year, 94,232 visits to this website resulted in 405,198 page views. That's +1.29% more visits and -6.54% less page views compared to last year. 72.96% were new visitors (68,751) and 27.04% were returning visitors (25,481). Interestingly, many more users are accessing this website with iPhones, iPads, Android's, BlackBerry and other smart phones / mobile devices. Social book marking has exploded over the last 12 months, with many visitors coming from Facebook and Twitter. For the fifth year running, the money raised from the Google adverts appearing on this website has been re-invested back into the upkeep of this website. The hosting package remains with LCN. Last year, 82,121 visitors came to this website and made 476,818 page views. This year, 93,031 visitors came to this website and made 433,544 page views. That's +13.29% more visitors and -9.08% less page views compared to last year. For a fourth year running, the money raised from the Google adverts appearing on this website has been re-invested back into the upkeep of this website. The hosting package remains with LCN. Last year, 62,921 visitors came to this website and made 407,003 page views. This year, 82,121 visitors came to this website and made 476,818 page views. That's an increase of +30.51% and +17.15% over last year. Not bad for a recession! For a third year running, the money raised from the Google adverts appearing on this website has been re-invested back into the upkeep of this website. I have upgraded the hosting package with LCN to give us more web space on a faster server to cope with demand and prepare for future growth and expansion. Some very interesting news (November 2009) especially for lovers of traditional two-stroke Jawa motorcycles. Somehow, F2 Motorcycles have been able to start the re-importation of new updated versions of the more familiar Jawa 350cc motorcycles. In addition they will also import the new 4 stroke 250cc models. While prices are obviously higher than when Jawa’s were last imported (I think over 10 years ago), these bikes are very much up to date with everything that’s needed for modern day riding, I believe they still offer excellent value for money for someone wanting a more traditional style motorcycle that’s cheap to run and easy to maintain. This ‘hopefully’ is excellent news as far as the Club is concerned as with new sales there is the potential for new members. Dave and Lizi Angel are to be congratulated on their efforts to import these machines and I’m sure we all wish them well. In addition to the bikes Dave is also offering the traditional Jawa/Velorex combination together with a modern up dated version of the excellent PAV single wheeled trailer. So if you or someone you know are in the market for a new Jawa, Velorex or PAV then contact F2. 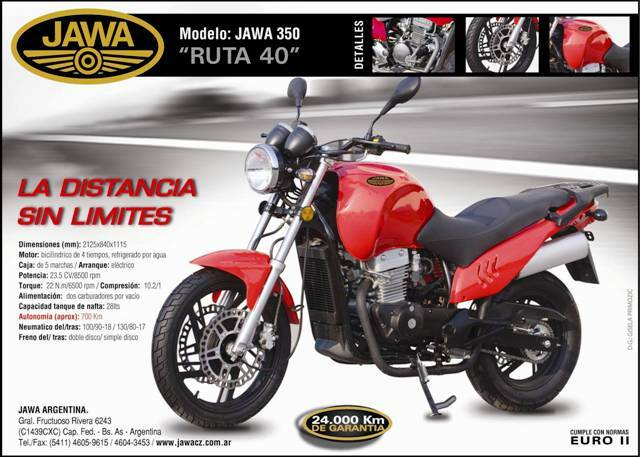 Coming in October 2009 - the new Jawa 350 4 stroke........but only in Argentina!! Anyone seen the engine before? Last year, 27,659 visitors came to this website and made 264,899 page views. This year, 62,921 visitors came to this website and made 407,003 page views. That's an increase of +50.17% and +53.50% over last year! For a second year running, the money raised from the Google adverts appearing on our website has been re-invested back into this website. Renewal of the domain name jawaczownersclub.co.uk for the next 2 years and another years web hosting with LCN has been paid for with this money. The sales network for MZ, JAWA and Babetta spares is being transferred and therefore discontinues sales of those parts direct. The Powerdynamo programme is not affected. Powerdynamo continues it's full dynamo / ignition programme. 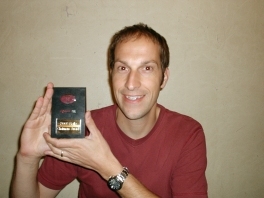 It was a complete surprise and great honour for me to win the 2008 Rally Chairman's Award for "outstanding achievement and services rendered to the club" in respect of this Website. John Blackburn (Chairman) presented me with the black marble trophy at the 2008 rally award ceremony. It makes all the late nights sat in front of the computer in "the cupboard under the stairs" worth while! Thank you very much! Money raised from the Google adverts appearing on every page has been invested back into this website and has paid for another years web hosting with LCN. With more pages and unique content being added on a regular basis, we certainly appear to be pulling the visitors in and keeping them interested! Recent news coming from America states that JAWA is in trouble and essentially production has shut down. The Rotax engine is no longer available and 650cc production has ceased. The only motorbikes they were making were a few 350cc 2 strokes for Cuba. The source felt that JAWA was virtually bankrupt. Meanwhile another non-Jawa contact in the Czech Republic also says that things are not that healthy. All these models fulfill the standards EURO III. During February 2008 we shall produce the first motorcycles JAWA 250cc Travel. The motorcycle JAWA 350cc is still very popular and we are selling big quantities to non-European countries. Concerning the JAWA 650cc, we are producing these motorcycles for the countries except European Union, now are still models Classic and Style available. The engine Rotax doesn't fulfill the EURO III standards, therefore we have to change the engine. For your information it will be the Italian engine MINARELI. We suppose that the prototype of this new motorcycle 650cc will be produced till the end of this year and will be prepared for next season. I hope that this information is sufficient for you and you believe that JAWA is continuing in motorcycle production. We wish you a happy and prosperous year 2008. George Beer, a former JAWA CZ Dealer and Co-ordinator of the VJMC Uttoxeter Show is willing to act as the Club Rep for Scotland and would love to start a branch north of the Border. George lives near Stirling and he and his wife ride JAWA's. On 8th December he bought a JAWA 640 from Warwick via eBay. He was told it had a holed piston. He fitted a new battery and new spark plugs (none in it) and it runs a treat. Has to now sort the electrics as the fuse is a copper wire! We encourage members in Scotland to contact George. He will be at the Scottish Motorcycle Show in February 2008 – meet him on the VJMC stand. A new updated version of “Tips from Torque” has now been put together called Technical Torque. The technical information it contains relates to many areas to do with Jawa and CZ road motorcycles, and hopefully will prove of interest and worth. The document covers over 128 pages and is available on CD (in PDF format) or as a printed ‘Hard Copy’. An electronic version can also be sent, although the document size is 9.8Mb. If interested in either version (CD is preferred option) then send a Cheque made payable to:- Jawa/CZ Owners Club (Swindon Branch) then post it to:- Ian Bridge, 6 Deben Crescent, Haydon Wick, Swindon, Wiltshire, SN25 3QB. After many years of painstaking restoration, love and care, Mark Pautz 1961 Cezeta 502-00 scooter won the 'Best European Bike On Show' award at last year's 7th Classic Bike Guide International Classic Motorcycle Show at Knebworth House. Last night (14th March 2007) 741 UXK was stolen from Mark's secure underground parking at home…..and Mark is devastated. This is the first vehicle theft he has had in his life. Not only did they steal it, but in the process they scraped the bike on a concrete pillar as they manoeuvred it out of it's parking spot, and also dented his classic car in the process. The scooter was securely locked and they must have damaged it quite badly when they manhandled it out from the back of his garage as he found the (difficult to remove) side-stand spring lying next to his car. They left the PAV-41 trailer behind. When he put the scooter through it's MOT test last week, it had only 323 km on the clock, so this is a real tragedy. He doesn't know what the thieves are going to do with the motorcycle, as it is one of only about half a dozen in the country, and fairly well known in classic circles.